On April 25, 2016 , the U.S. Environmental Protection Agency (EPA) proposed revisions to the Regional Haze Rule, which describes actions that states must take when submitting regional haze state implementation plans SIPs) and progress reports. 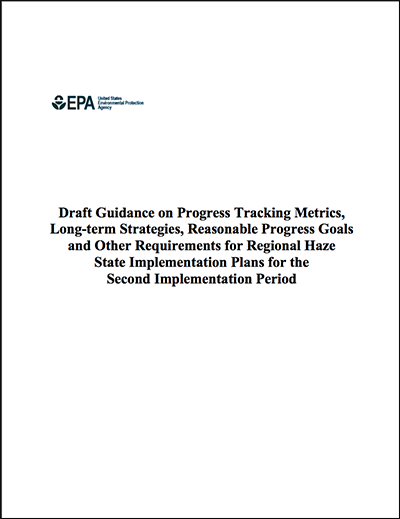 On June 30th the document 'Draft Guidance on Progress Tracking Metrics, Long-term Strategies, Reasonable Progress Goals and Other Requirements for Regional Haze State Implementation Plans for the Second Implementation Period was released for comment. Comments are due August 10. When final, the document is expected to complement the revision of the Regional Haze Rule.